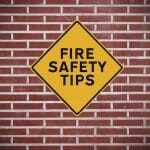 Last time, we looked at five things you should always do in regards to your fire protection system. Today we are going to look at the things you should NOT do! At Fire Control Systems, we want people to be safe from fires at all times. Read the following list carefully to learn how you can stay protected! Don’t let false alarms persist – Whenever your fire alarm goes off when no one is expecting it, everyone will (hopefully) do what they can to get out as quickly as possible. But too many false fire alarms can cause people in your building to ignore it when it goes off for real. If a false alarm does occur, figure out what happened so you can prevent false alarms in the future. Don’t ignore recurring problems –Getting frequent ground faults, circuit problems, battery faults, or device failures from your fire protection system, may be a sign of bigger problems below the surface! Let the fire protection professionals at Fire Control Systems help you find the root causes of these problems and determine if you need major fire system maintenance or just a quick equipment replacement. Don’t set off your fire suppression system – Training the personnel who work in or around your building’s fire suppression system can prevent accidental discharges. Develop and enforce protocols to ensure your building’s fire suppression system does not go off accidentally. Be sure to continuously monitor operational changes that could have a negative impact on these fire suppression systems. Don’t allow unqualified personnel to service your fire protection system–Using unqualified and uncertified contractors to service your equipment can leave you with a false sense of security that could be dangerous during an emergency! At Fire Control Systems, we are certified to work on all types of fire sprinklers, fire alarms and fire suppression systems. Don’t forget to update your fire protection system when you make changes to your facility – As you building evolves, it’s important you make sure your fire protection system evolves with it! When you realize your building will be undergoing a change, begin planning up-front for the necessary changes to the fire systems which could require a complete recalculation of your fire protection systems. Types of fire systems and components will no doubt be impacted, including detector placement, notification appliance location, sprinkler coverage, and obstructions to manual pull stations. 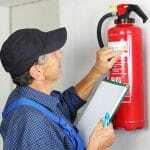 These are the five things you should NOT do when it comes to your building’s fire protection. Call Fire Control Systems if you need fire sprinkler installation, fire alarm service, fire extinguishers or any other fire protection services!